Deconovo via Amazon has Thermal Insulated Curtain Panel 52″W x 63″L (various colors) on sale for $16.99 – $4.25 w/promo code X572CGEN = $12.74. Shipping is free with prime or if you spend $35 or more. 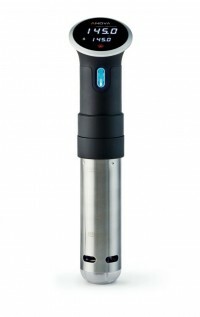 Amazon.com has Anova Precision Sous Vide Cooker w/ Bluetooth (Black) for $139. Shipping is free. If you love travelling, but hate the unattractive and unnecessary fees, then I suggest signing up for a Amtrak Guest Rewards World MasterCard. This 20,000 bonus points can be yours after you spend at least $1,000 in purchases within 90 days of account opening. Earn 3 Amtrak Guest Rewards points for every $1 you spend on Amtrak travel, including onboard purchases and 2 points per $1 spent on other qualifying travel. But that’s not all- you’ll still earn 1 point for each $1 spent on all other purchases. There’s no limit to how many points you can earn and you can use them whenever you want with no blackout dates. Other Benefits: Enjoy a complimentary Companion Coupon, One-Class Upgrade and a single-day ClubAcela pass for access to ClubAcela, Amtrak Metropolitan Lounge or First class lounges upon account opening. Receive 20,000 bonus miles for your Amtrak Guest Rewards World MasterCard when you spend at least $1,000 after 3 months of account opening. When you sign up for this card, you receive a decent signup bonus and also access to their many perks and benefits of being a Amtrak card holder, such as; earning 3 bonus points per $1 spent on AmTrak Travel. if you travel often, then I definitely recommend this card to get the most optimal bang for your bucks. Don’t forget to check out our full list of Credit Card Bonuses if you’re not interested in a Airlines rewards credit card at the moment. 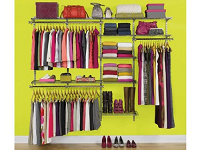 Amazon.com has Rubbermaid Configurations 4-8′ Custom Closet Deluxe Kit on sale for $86.24. Shipping is free. 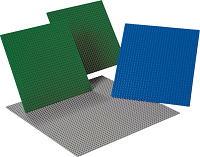 Amazon has 4-Pc LEGO Education Large Building Plate Set on sale for $28.68. Shipping is free with Prime, or on orders of $35 or more.